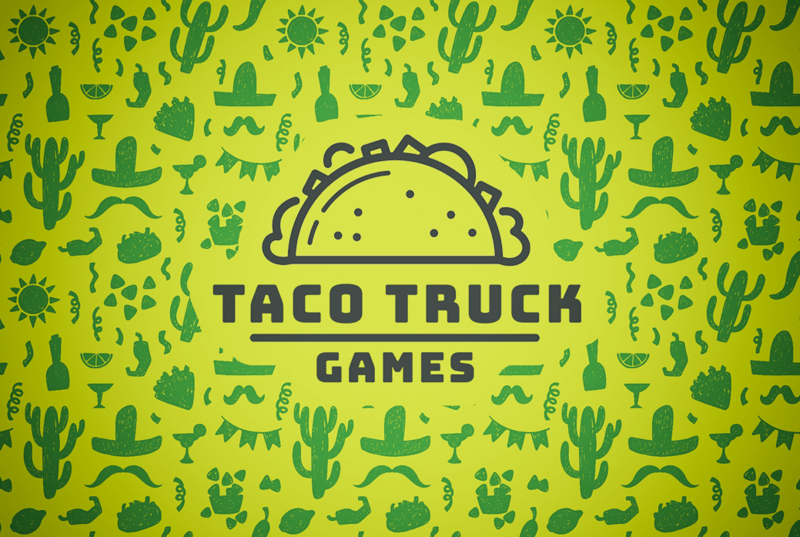 Taco Truck Games is an independent game studio based in Seattle, Washington, USA. We current focus on fun, quick to play games for mobile platforms. 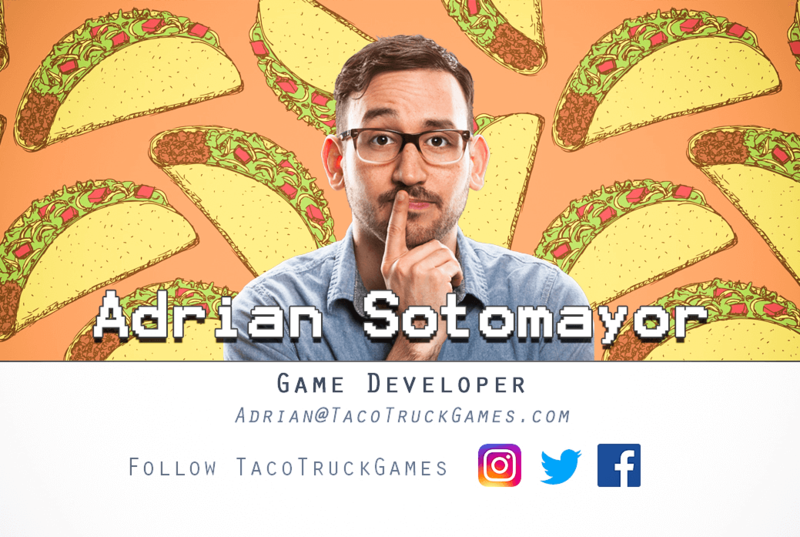 Taco Truck Games was established by Adrian Sotomayor in Seattle, WA in September 2016. His goal is to create fun and enjoyable games across the mobile, console, and PC platforms. He's excited to learn, grow, and contribute to an already thriving Indie Game community. Before going indie, Adrian worked as a Tools and Engineering area owner on Minecraft during his time at Microsoft Studios. There he helped build a team to design and deliver cross-platform automation tools and frameworks. These tools contributed to the release of Minecraft PE, Windows 10 Edition, GearVR, Oculus Rift, and Realms. During his 8 year career at Microsoft, he was also part of the automation engineer groups in Skype and Windows. Adrian has been involved in the Indie Filmmaking scene since the late 1990s. His 15 min of fame arrived when he and some friends created a short film called ‘Kung Fu Legends 2 Turbo Edition‘ in the summer of 2001. It became popular on Newgrounds.com and was eventually distributed across Best Buy’s around the US in an indie fighting film DVD collection titled ‘Everyone is Kung-Fu Fighting’. In 2014, Adrian worked with local Seattle director and writer Arthur Allen to create a color palette and color grade the award winning indie film Winning Dad. As an additional creative outlet, Adrian ran a photography business with a focus on portraits, band and event photography. He worked closely with Portland musician Logan Lynn to direct his video for Hologram in 2013. There are currently no trailers available for Taco Truck Games. Check back later for more or contact us for specific requests! There are far more images available for Taco Truck Games, but these are the ones we felt would be most useful to you. If you have specific requests, please do contact us! "I was so smitten by one game in particular that I made a beeline to it at the Expo, and made sure it was the first one I played. And whaddya know, it’s a game that features cats, so anyone reading this on the Internet is going to love it too." "I managed to beat all the enemies in the demo except for a freakish cat with a Dr. Doom rat mask, who beat me soundly. If this game manages to balance the various systems already present, Meow Wars should be a lot of fun."